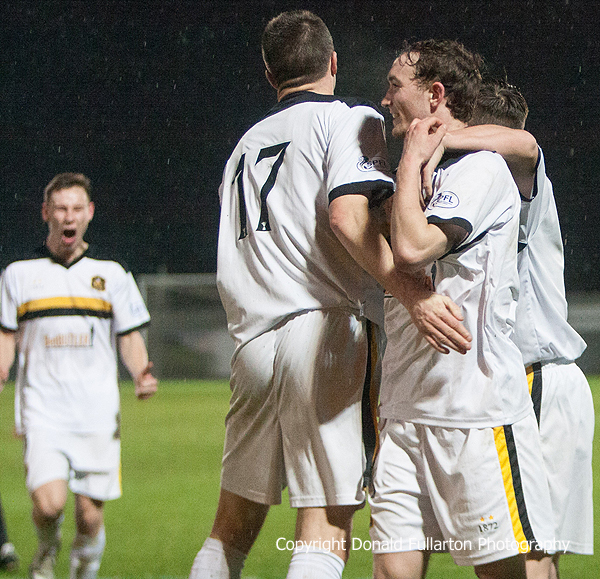 A BATTLING performance by ten man Dumbarton earned them a valuable point in an extraordinary match against Livingston at the Bet Butler Stadium. A BATTLING performance by ten man Dumbarton earned them a valuable point in an extraordinary match against Livingston at the Bet Butler Stadium in front of some 400 fans. The first half of this rearranged fixture was closely contested, but failed to produce any goals. However the second half was to prove memorable. It began with referee Stevie O'Reilly showing Sons midfielder Garry Fleming a second yellow card after an altercation with the same player which had resulted in his caution before half-time. As a result it was a red and off. Moments later the referee went over to managers Ian Murray and John McGlynn, spoke briefly to them, then walked off the field.Two minutes later a tannoy announcement asked for any qualified referee in the crowd. A Livi fan responded, and found himself as a linesman as one of the original linesman took over as ref after a ten minute delay. Immediately after the restart Keaghan Jacobs opened the scoring for the visitors, but minutes later sub striker Colin Nish latched on to a Mitch Megginson pass and lobbed the keeper for the equaliser. However Andy Barrowman netted no.2 for Livi almost immediately. With just three minutes to go of a very long match, Sons on loan striker Chris Kane kept up his goal-a-game run since his arrival from St Johnstone by netting a second equaliser from close range. The picture is of Mitch Megginson showing his delight after Chris Kane's goal.